Select your Star rating above in each Category and Click "Submit Your Rating" Write a Review of your Visit of KOA Statesville East/Winston-Salem. . 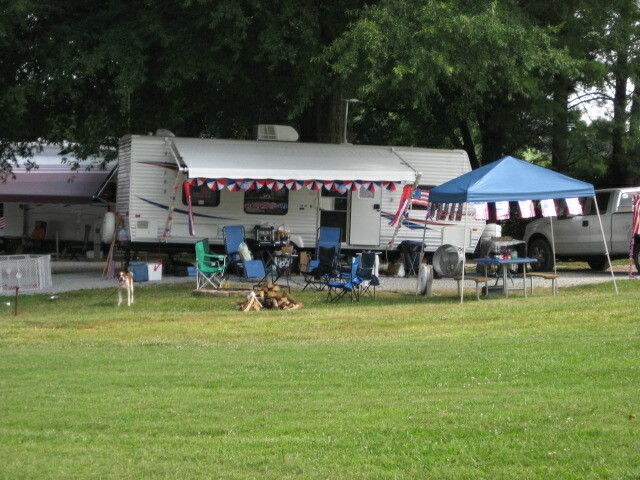 The Statesville East KOA is set on 30 acres of rural countryside and is the perfect setting for a peaceful retreat. 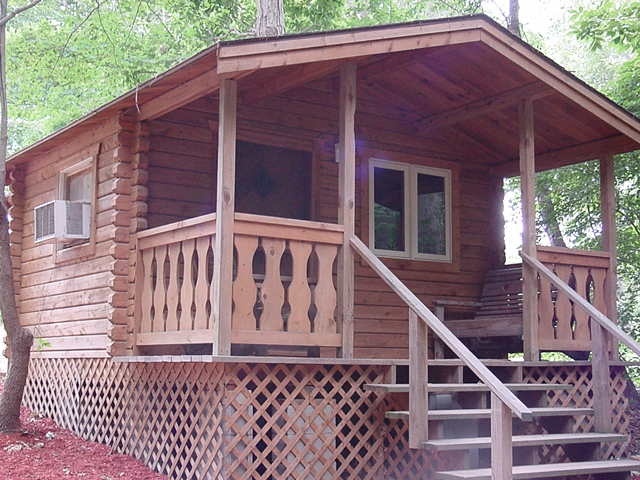 You'll enjoy North Carolina camping at its most relaxing! We're located close to the junction of several main travel routes, with easy access on and off the interstate. When you arrive, you'll find us happy and able to accommodate all campers, with up to 70-foot pull-through sites for Big Rigs to tent campers. No RV? No problem! 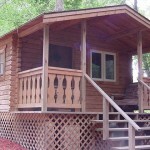 Our cozy cabins with a half bath offer comfortable accommodations in any weather. While staying with us, you're close to several of North Carolina's top attractions. From our KOA, it's easy to take day trips to Carowinds theme park, Lowe's Motor Speedway, NASCAR Race shops, the North Carolina Zoo, Historic Old Salem Moravian Village, or Lake Norman for a day of fishing and boating. Tired of driving? 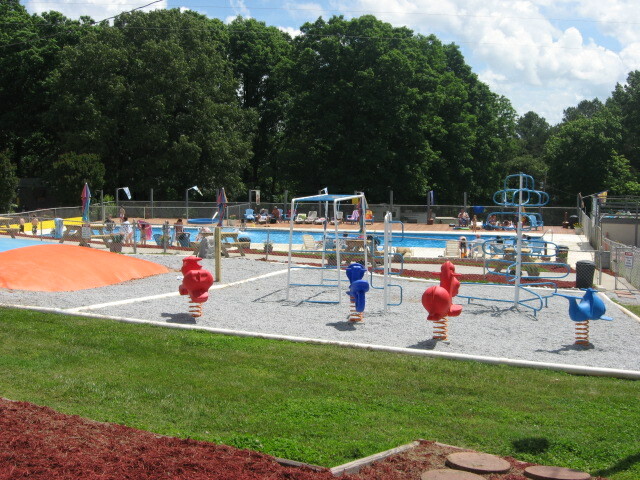 Stay and relax by the fishing lake, play a game of mini-golf, have fun in the arcade room, or take a dip in the Olympic-size swimming pool with sun deck, all right here at our KOA. Our playground features North Carolina's first Jumping Pillow, while other activities include volleyball, badminton, horseshoe pits and basketball. During the summer, take part in themed weekends and planned family activities. We have lots of fun with our Midway 200 race, Christmas in July, and banana-split ice cream socials. 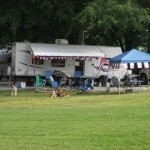 Come see us anytime- we'll be happy to welcome you to our campground! Fox Den Country Club: This course has greens that average approximately 6,200-square feet in size and the pins are usually placed in tough locations. Six holes on the course are rolling and nine are more mountain style. A forty-foot wide creek runs through the course, and ponds dot the areas between holes. Water hazards come into play on eleven holes. The four finishing holes are cut out of the forest and very scenic. The most scenic hole, according to designer Clyde Johnston, is #15, a 395-yard, par 4, which has a dogleg right fairway and three sand bunkers in the landing area. There is separate green fee rate for Friday. Located at 175 Clubhouse Drive in Statesville, NC. Call 704-872-9900 or visitwww.foxdencc.com for more information. This is a semi-private, 18 hole course ($34.00-$46.00). Lakewood Golf Club: The 18-hole "Lakewood "course at the Lakewood Golf Club facility in Statesville, North Carolina features 6,425 yards of golf from the longest tees for a par of 72. The course rating is 69.6 and it has a slope rating of 113 on Bermuda grass. Designed by Foy Brittan, the Lakewood golf course opened in 1969. Dennis Watkins manages the course as the Co-Owner. Located at 273 Old Airport Road in Statesville, NC. 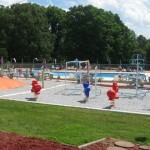 Call 704-873-6441 or visit www.lakewoodgolfclub.net for more information. This is a semi-private course ($20.00-$49.00). Twin Oaks Golf Club: This course was built on rolling terrain and has water hazards that come into play on some holes. The greens are undulating, but protected by very few bunkers. The fairways are tree lined, and the rolling terrain will cause many uneven lies. This course's toughest hole is #9, a 546-yard, par 5, requiring an approach shot to an extremely well-bunkered green. Players can walk the course Monday through Thursday after 2 p.m. Located at 320 Twin Oaks Road in Statesville, NC. Call 704-872-3979 or go towww.playtwinoaksgolf.com for more information. This is a public course ($21.00 -$27.00). From Jct I-40 & I-77: Go east on I-40 to exit #162/Cool Springs. Turn right on Rt 64 for 500 ft, then turn left on Campground Road for 500 ft, then left on Midway Drive. Our KOA will be on your right. From Winston-Salem: Take I-40 West to exit #162/Cool Springs. Turn left on Rt 64 for ¼ mile, then turn left on Campground Road for 500 ft, then left on Midway Drive. Our KOA will be on your right. We are 20 minutes from the Winston-Salem city limits. We tent camped here this past weekend. We had a great time enjoying the pool and the bouncing pillow. It felt like a pretty safe place to let the kids play freely too. The bathhouses were nice and tiled however–showers were confusing to work for several of us. I also have to metion that the bathhouses did not seem to be cleaned and checked regularly. Several times we went in there was only one toilet in working order. I am sure it is because of the pool but the floors always seemed dirty too. The staff here are really friendly. We tent camped and while the site seemed smaller than where we usually camp t all worked out. We would prob come here again since it is a getaway close to home and we enjoyed all the amenities.